I´ve been curious about the identity of Maya for a long while. Time after time, I searched the Internet for information about this particular German release, but despite some sellers offering it on Ebay, I couldn´t find anything. Finally one day, I used another combination of words in the search, and it turns out Maya is actually Maya Casabianca. Born Margalit Azran, in Casablanca, Morocco in 1945, Maya Casabianca moved to Israel when she was three years old and in 1956 to Paris with her family. In 1970, she immigrated to Haifa, Israel. 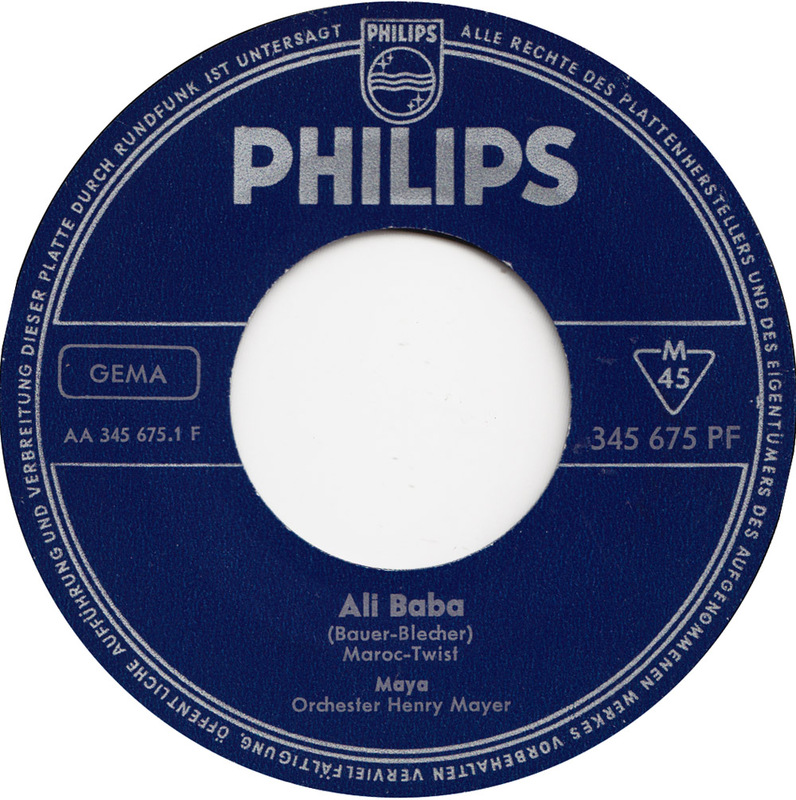 From the early to mid-1960s, Casabianca recorded dozens of records for Philips. 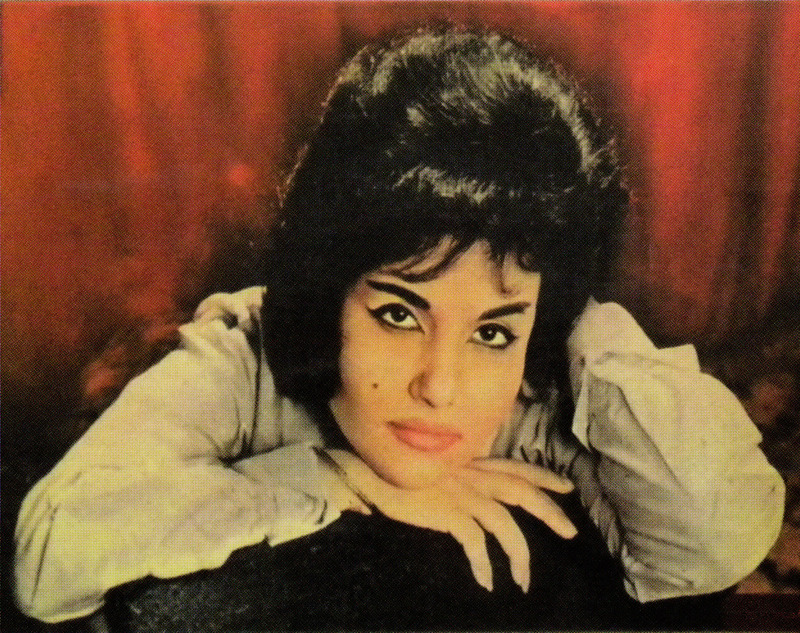 Choosing the stage name Casabianca, Philips probably tried to model Maya´s career after the success of Dalida, who was originally from Egypt. 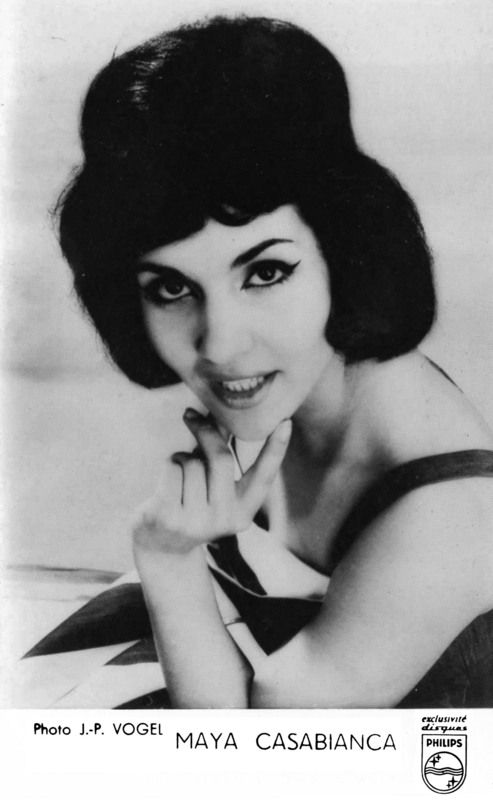 Her two German songs, described as Maroc-Twist, also exploited her arabic background. 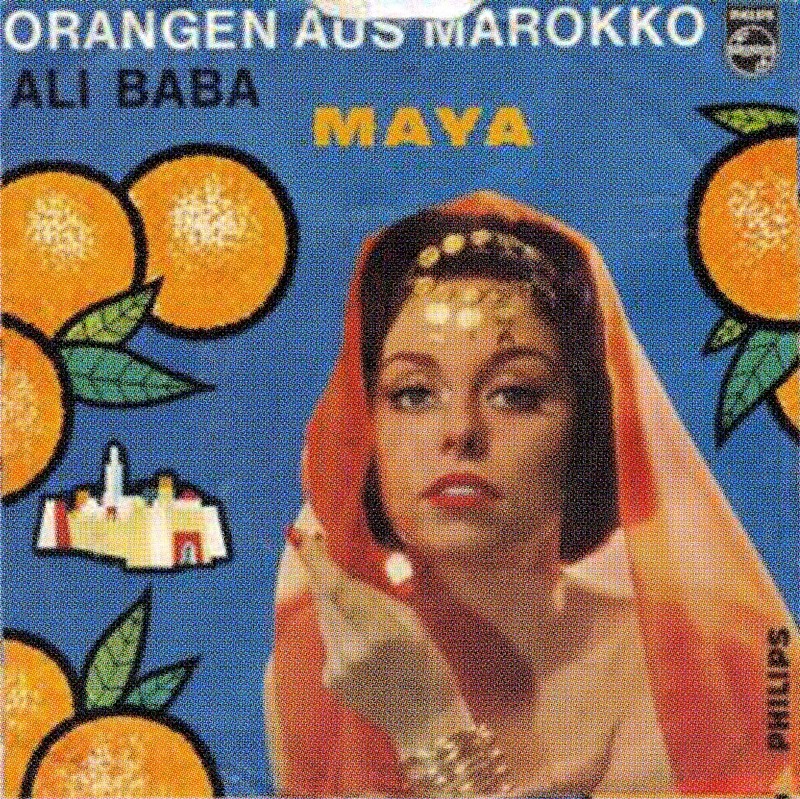 Orangen aus Marokko, co-written and backed by Henry Mayer and his orchestra, is about sweet oranges from Morocco, still a luxury in post-war-germany of the early 1960s. Ali Baba is about the fairy-tale robber. For some reason, Maya Casabianca was shortened to Maya, and the sleeve, that I found Online elsewhere, doesn´t show her, but just a model. Hi Andreas, thanks for the post. 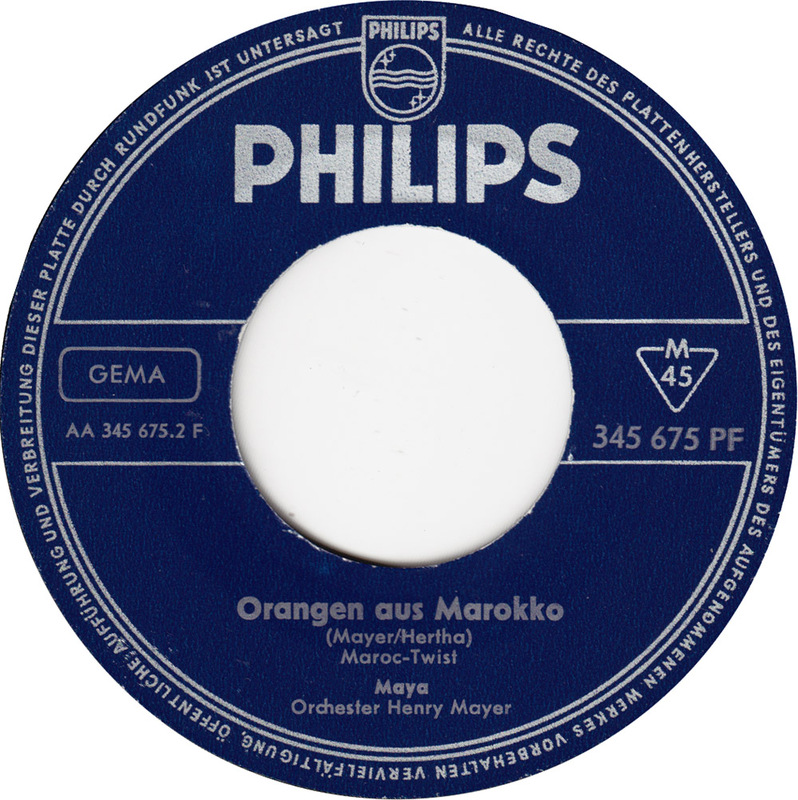 I’d like to hear ORANGEN AUS MAROKKO but the link does not seem to work, Can you fix it? Henry.